LeanIX surveyed more than 100 high-level IT professionals on the usage of microservices at prominent European and American companies. We were curious about how (or if) this technology was being used and there were recurrent hurdles with implementation. While we do know that microservices are essential, we wanted to investigate why more companies have yet to adopt them. On average, how often does your company deploy new software releases? Does your company use microservices? 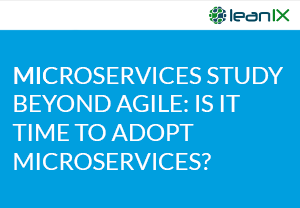 Do you plan to intensify the usage of microservices? If yes, in what timeframe? What are the major hurdles for adopting microservices? Fill in the form to see the results of the study.